AmericaServes Practice360 is a collective learning network fueled by communities of practice. Our communities of practice are groups of people who share a passion for serving veterans and military connected families and who strive to do it better as they interact regularly. AmericaServes sponsors communities of practice at three levels: local, regional, and national where the learnings from one continuously improve the others. Practice360 encompasses recurring collaborative learning activities (gatherings, trainings conferences, etc. ), professional development and the sharing of meaningful content in order to stimulate our communities into higher, more sophisticated forms of service delivery. Providers have access to a Local, Regional, and National Community of Practice, aimed at transforming the way communities provide care. 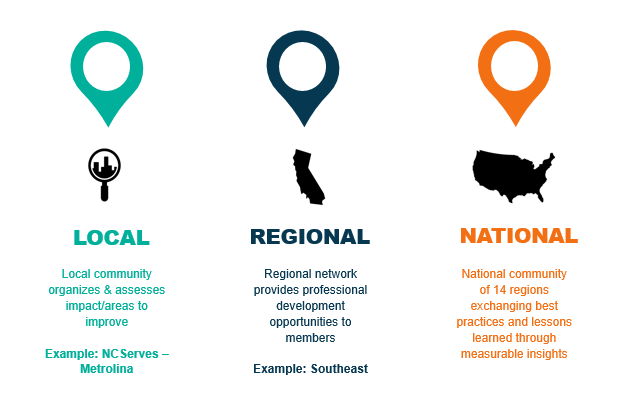 Locally, AmericaServes sponsors 16 (+) communities of practice that consist of 50 (+) human service providers each participating in their locally coordinated community network. 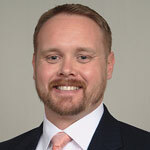 While most organizations network already, truly connecting the community with shared software (tools) and the resultant analytics (insights), and the structure and rigor of collective impact, we can accomplish more. Regional Communities of Practice in the Northeast, Mid-Atlantic, Southeast, Southwest and West support a larger National effort that ensures hard-learned lessons don’t end at the edge of your service area. This is a grassroots movement empowering our nation’s best human service providers with national level assets and a platform committed to better care and services for our veterans. Ready to join our Community? Want to get involved locally, regionally, or nationally, Contact us to learn how we can expand your community and improve your practice.